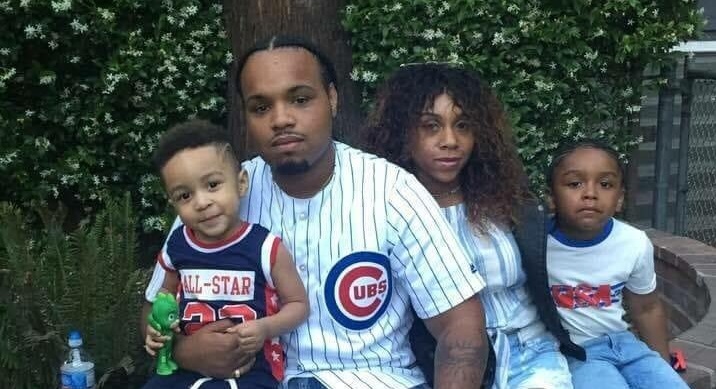 Patrick Kimmons (1991-2018), a Black American man, was killed by police in Portland, Oregon in the early hours of Sunday September 30th 2018. It seems he was armed – but it also seems he was shot in the back. The police say they came across a shoot-out and drove into the parking lot on the corner of Southwest Fourth Avenue and Harvey Milk Street (formerly Stark). They saw flashes of gunfire. When they confronted Kimmons, he turned towards them holding a gun. They gunned him down. They recovered a gun near his body, one of five found at the scene. Video: the police say they have surveillance video. It has not (yet) been made public. Witnesses: four police officers and “numerous community members”. Some witnesses heard up to 16 shots. His mother says he was shot 15 times, in the back and the leg. The killer cops were Sergeant Garry Britt and Officer Jeffrey Livingston. Britt has been with the Portland police for ten years, Livingston for one and a half. Both are now on paid leave as the police investigate themselves. Their findings (cover-up?) will be presented to a grand jury, which will determine whether to charge the police with a crime. Sgt Britt has taken part in two other shootings, of John Elifritz earlier this year, and of Joshua Stephen Baker in 2012. Baker, like Kimmons, was 27 on a September night, was running from police, and was believed to be armed and dangerous. But Baker was White and was taken alive. The Portland police have a history of racial profiling. Kimmons’ younger brother says that Kimmons had been part of a gang, the Rolling 60s Crips, but had quit for the sake of his children. He believes a rival gang was shooting at Kimmons when the police stepped in and killed him. Kimmons was a baker at Dave’s Killer Bread. Tennessee v Garner – the Supreme Court case that determines when police can shoot on fleeing suspects. Aaron Campbell – unarmed Black man killed by Portland police that same year (2010). Essentially, probable cause is an objective level of certainty that would cause a reasonable person to believe that a crime was committed and thereby, giving an officer the right, with respect to his or her preliminary findings o observations, could potentially lead to someone’s arrest, not death. However, probable cause definitively doesn’t give law enforcement the right to use deadly force, especially if a suspect is fleeing the scene. This explains why in the Patrick Kimmons case, the police had no other choice but to fabricate a story of events that strategically placed the gun back in Patrick’s hands in an attempt to justify their intentional unjust murdering of him. Additionally, perhaps they knew all too well that they had no right or probable cause to shoot anyone that is attempting to escape from the scene. An assailant fleeing in the opposite direction of officers is clearly an indication that he/she doesn’t pose a threat to them. “One witness, Ayan Aden, was in the parking lot in her car with her boyfriend. She said she heard yelling and then saw Kimmons running through the parking lot. He dropped his gun near her car and kept running. The police said “stop” twice and then immediately started shooting. She and her boyfriend ducked. Two bullets hit their car. However, the police’s version of the story is in stark contrast to what eyewitnesses claimed what actually took place. Moreover, inconsistencies between what the police and what the spectators saw also explains why the police haven’t released the dash-cam video. Without a doubt, when the un-tampered video is released to the public, it will clearly implicate the officers as having engaged in an act that resulted in the wrongful death of an individual that posed no danger to them whatsoever.